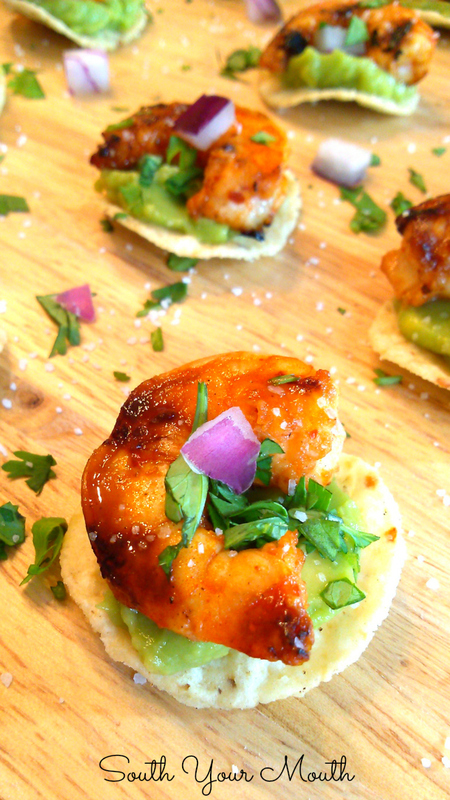 Super fun and easy appetizer recipe made with tortilla chips, chipotle glazed shrimp and guacamole sprinkled with a confetti of red onion and cilantro. Sometimes I look back on my adventure with Food Network and I think did that really happen to me? Did I really get to be a cast member on America’s Best Cook? Did I really ditch everything and fly up to New York to take my chances? Did I really get to work with chefs I've admired for years and years? 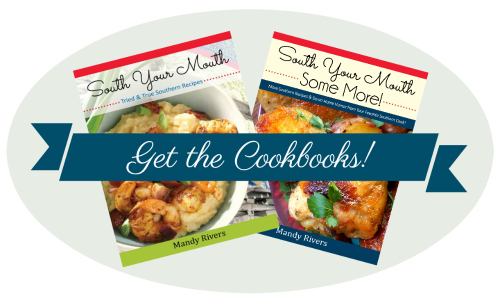 Like Michael Symon and Alex Guarnaschelli and Cat Cora? Cat-frickin-Cora, man. I mean, come on?! Did that happen to me? If I get to thinking about it lying in bed at night, my heart starts pumping and that adrenaline kicks in and the next thing I know I’m WIDE AWAKE with zero chance of getting back to sleep any time soon. There were hundreds of little moments that are emblazoned in my memory that I will cherish forever. Walking through Chelsea Market to the undisclosed location of the studios every day. Spending my last night in an Irish pub in Manhattan with new friends, many of whom are now my forever friends. Cooking for an Iron Chef in Kitchen Stadium. And her telling me my food was cooked perfectly; that it was delicious. And that she’d love to spend a day in my kitchen cooking with me. Did that happen? Ugh. What a journey. What an amazing journey. Anywho, I’d been wanting to cook the shrimp I made for Cat again so when I saw gulf shrimp at the market yesterday I pounced on them. And I didn't have to rip the heads off of these either, thankyouverymuch Food Network. I decided to make these into an appetizer since I was really just cooking them for fun. I whipped them up, poured myself a beer and let myself take a stroll back down memory lane. These are super easy and delicious! It only takes a minute or two to assemble the tostadas once you have the shrimp cooked. These would make a beautiful appetizer at any event or party. I can’t wait to make these for football season! Minus the marinade time I can assure you this can be made in under 30 minutes because I've done it. With 87 cameras in my face. Running for ingredients and equipment like a 3-legged cat running for dirt. Oh no, it won't be anything at all like Chopped. Not at all. Right. Peel and de-vein shrimp; set aside. Combine chipotle peppers in adobo sauce, garlic, brown sugar and lime juice in a large bowl and mix well. If you want yours spicy, chop open the peppers to release the seeds, if not, leave them whole. Add shrimp and gently stir to combine ingredients. Cover bowl and refrigerate shrimp for 4 hours to marinate. Cook shrimp on the grill, in a grill pan or in a large skillet (grease whichever you use with oil or cooking spray) over medium-high heat 2-3 minutes on each side or until shrimp are cooked through. If cooking in a pan or skillet, cook in several batches to ensure the shrimp aren't overcrowded. Set cooked shrimp aside until ready to serve. The tostadas are perfectly delicious served at room temperature so feel free to prepare the shrimp ahead of time. To assemble, spread a dollop of guacamole onto each tortilla chip (about a teaspoon). 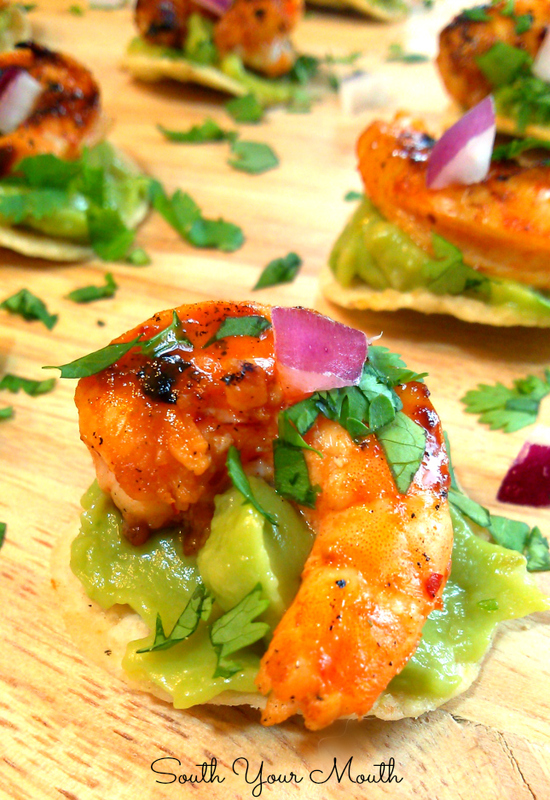 Place one shrimp on top of guacamole then arrange tostadas on a serving platter or cutting board. Sprinkle tostadas with cilantro, diced red onion and sea salt. Serve within one hour of assembling. Feel free to make your own or make my Quick & Easy Chunky Guacamole but seriously, I think the prepared kind is perfect for this! Easy, peesy, bo-deezy! You might want to buy two of these or get the family-size in case there are lots of broken chips (you just never know, ya know?) and you’ll need as many chips as you have shrimp.